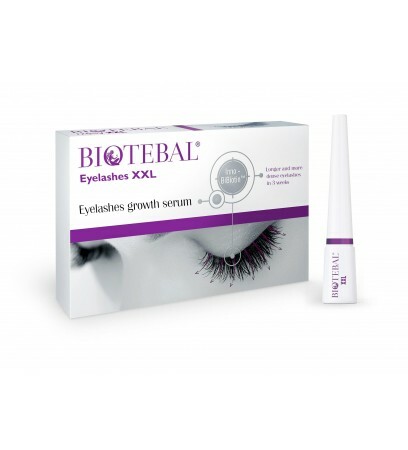 Biotebal Eyelashes XXL 3ml - is a best eyelash growth serum that after 3 weeks of use, provides the effect of long, beautiful and healthy lashes. Thanks to the special formula Inno-BiBiotinTM, safely and effectively lengthens, thickens and strengthens eyelashes and eyebrows. Bimatoprost - known and regarded in the world today as one of the most effective ingredients that stimulate eyelash growth and inhibiting the process of hair loss. Regular use makes the lashes become longer, thicker and stronger. They are more flexible, shiny and become a darker color. 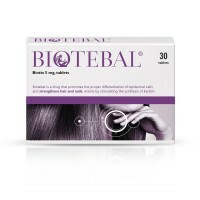 Biotin - vitamin H has a positive effect on the condition of the hair and their growth. 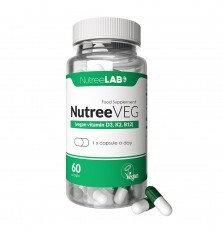 It is an effective stimulant growth of eyelashes and eyebrows. Panthenol - provitamin B5 - plays an important role in the care of hair, giving them shine and softness. Smoothes and thickens the hair fiber, protects against damage. It regenerates. Polysaccharides - have the ability to retain water, which gives the effects of immediate and long-term hydration. Reduce the surface roughness of eyelashes and eyebrows, repair and smoothen their structure. 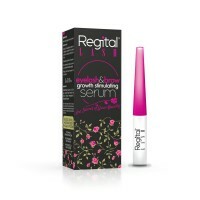 Peptides - has the effect of longer, thicker and stronger lashes. Contained in a product specially selected peptide - Biotinoyl Tripeptide-1 strengthens the hair fiber, improving the condition of lashes. Pumpkin seed extract - strengthens eyelashes preventing hair loss. 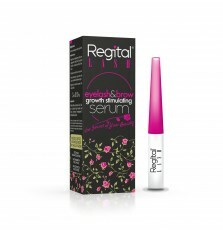 The first results of the action serum can be observed after 3 weeks of use. The most spectacular effects after 12 weeks of treatment. The extract from eyebright - herbal "compress", has beneficial effects on the eye area. It soothes and moisturizes, reduces fatigue, prevents irritation. The product tested by Ophthalmologist and Dermatologist and is well tolerated by the skin meets the test of compatibility with the skin and atopic particularly sensitive and a readily irritation (Skin Compatibility Test) and can be classified as non-irritating. Safe for contact lens wearers. Eyelashes longer and thicker in 3 weeks. 76% of respondents confirmed lengthening eyelashes. 68% of respondents confirmed density of eyelashes.